Costa Rica is blessed with some of the best fishing in the world, While made famous by its offshore fishing based out of the port of Flamingo, Costa Rica also offers some of the most exciting inshore fishing in the world. This boat is by far the safest, cleanest, and most comfortable in the Flamingo area. Food and beverages are always available! But that's not the best part! Want to catch fish? Lots of fish? Big fish? Captain ( Chepe) can make it happen. Check it and lives in Permit3 the best experience of sport fishing, Flamingo enjoys close access to deep-water fishing. Many of the grandest sport fish enjoy these segue regions between costal waters and the open ocean. The teeming waters of Flamingo also offer some of the world’s best sport fishing, boasting several world records in Marlin, Wahoo, Sailfish and Roosterfish. Not surprisingly, the Flamingo area is frequently chosen as the venue for International Sport Fishing Tournaments. A Virtual paradise for water enthusiasts of all kinds, the crystal blue waters and sandy white beaches surrounding Flamingo are also ideal for snorkeling and surfing. Imagine you’re on a boat in the Pacific Ocean off the west coast of Flamingo Costa Rica. You are taken in by the beauty of tropical islands. You are enjoying the pristine waters, when one of the reels starts screaming. “Fish on,” yells the mate. He hands the rod to you and your heart starts pounding as you imagine what you have on the line. Is it a giant black marlin, blue marlin, sailfish, or a large yellowfin tuna? If you are inshore fishing Costa Rica , the fish may be a rooster fish, snapper, grouper, or amberjack. Who knows, but you will after the grueling minutes following the hookup! Our crews at Flamingo Beach Sport Fishing Lodge can make this happen for you! Flamingo Beach famous for it’s offshore sport fishing. Big game sport fish and billfish are abundant in these waters, and Costa Rica enjoys some of the calmest seas of any big game fishing ground in the world, and Flamingo Beach in Costa Rica enjoys some of the calmest seas of any big game fishing ground in the world. Sailfish, Marlin, Dorado and Tuna, wahoo and roosterfish are all present in these abundant waters. 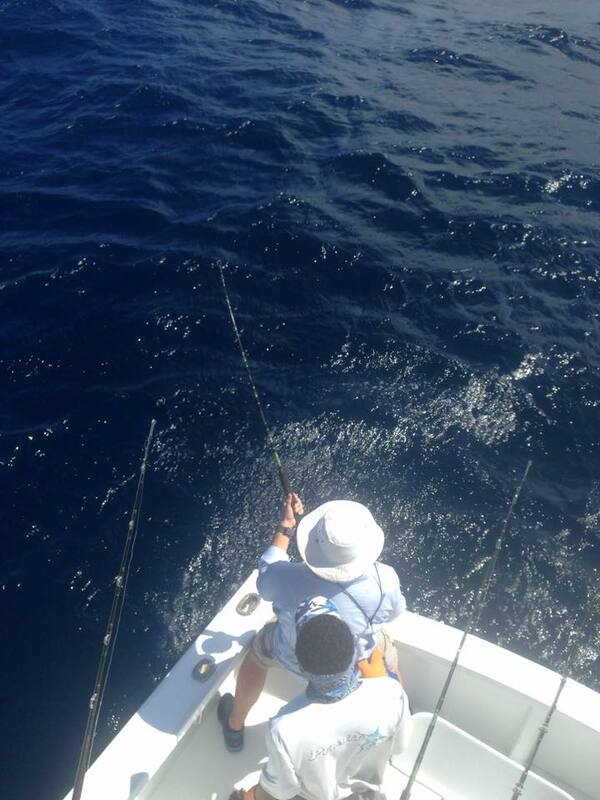 We offer three quarter and full day offshore Flamingo fishing trips. Our boats come fully equipped with all gear and tackle. 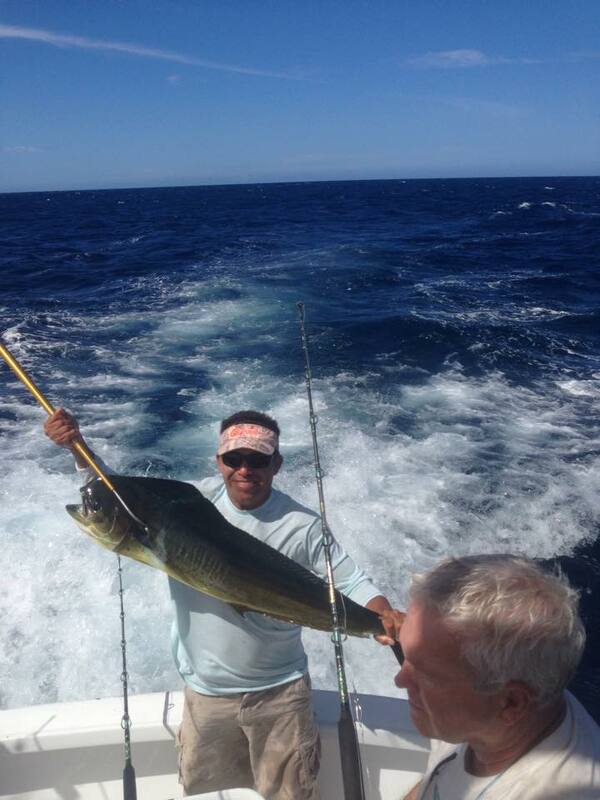 Our captains and crew are experienced fisherman intimately familiar with these waters. You only need to bring sunscreen and some muscle to land your giant catch!